Just look at it! A feat of beauty and engineering. It’s safe to say that this steam train hissing, dripping, and periodically bellowing easily stole the show. 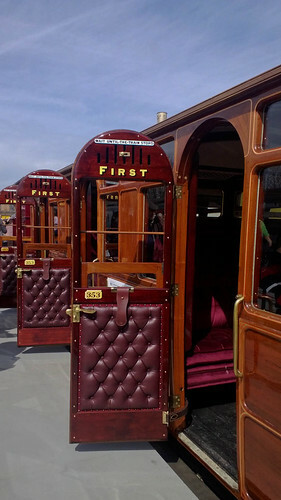 The engine and the carriages were beautifully restored. 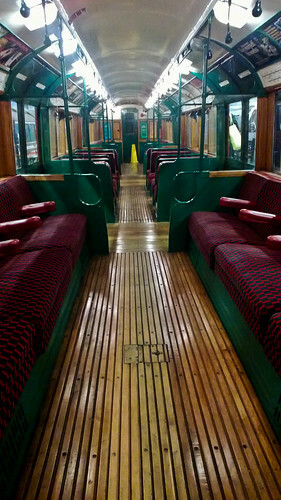 We got to sit in the carriages and although I felt woefully under-dressed, I could just about imagine myself in 1863 on the first journey through central London. 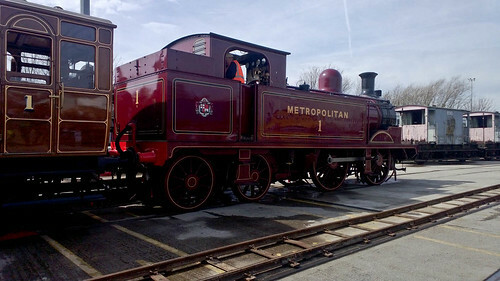 Another steam train was a close second due to its small stature (look how cute it is!) and that it gave rides. Who doesn’t like rides? 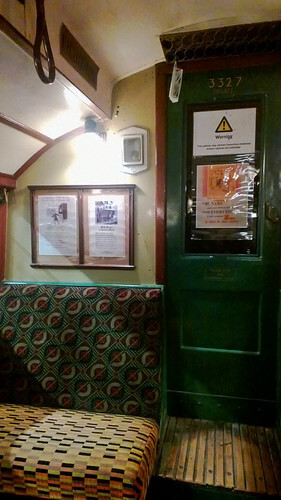 In addition, there was the renown 38 Stock. 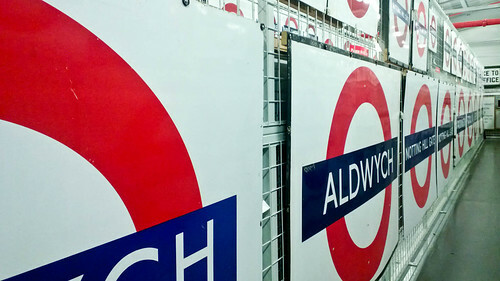 Arguably the classiest Tube trains that ever existed. 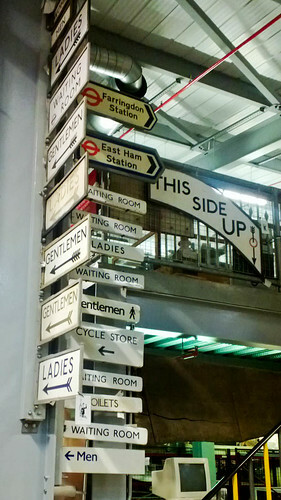 There was also every sign imaginable, some from Tube stations I’ve never even heard of! 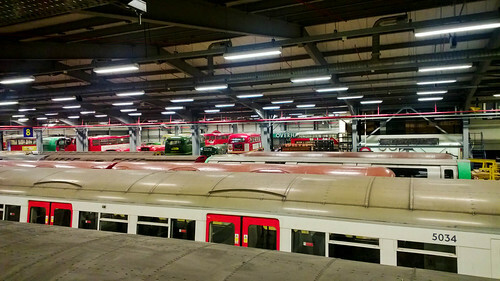 There were also models of trains and entire stations, tiles, clocks, an electric car and a strange mixture of transport geeks and families. I wholly enjoyed myself and I think those I dragged along who were significantly less excited by the prospect of looking at London transport memorbilia also liked it despite themselves.